The kitchens were installed last weekend. 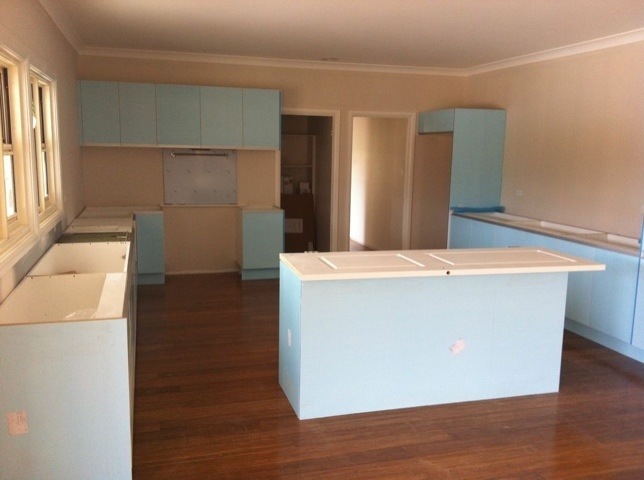 The photo below shows the kitchen in the main house (it is white under the blue protective plastic). You can also see the floor, which looks great. It will be even better once it has been cleaned.